I love that fic to bits. ~Alana, aliases 'Lana or Chika. That's what the link in my sig is for. Who's your favorite H!P member? ~Known as SxY or Kyo. Yes, I do. I used to write Naruto fanfics (which IMO are now crap...I didn't write that great) but I grew up from Naruto and I've moved onto H!P/MM. I've got a oneshot series on here I plan to update once I get the time. Egads. Another hard to answer one... Um, I'll list a couple so there will be a general idea? I really don't have a favorite artist, per se. So...a few authors I like are Esrea, KonaKaga, lil_hamz, and Yuuyami. Kamei Eri! xD She's probably going to be the center, or at leas in the majority of fics I write. I blame how popular she is among other members. o-o Close second is Ai-chan. Well, what can I say about me...? I'm a H!P Fan. Futhermore, I like videogames, anime, rpg, doramas, and a lot of japanese things, xDD. My natural language isn't English... so... sorry about my English, I will try to don't make any mistake, but, I think that this is impossible. I don't write any fanfic, but I used to write stories, but they weren't fanfics. mmm In the fanfic's world? ¿Rokun? xDD. In general... I haven't any favorite writer, but I like Tolkien a lot. Michishige Sayumi-sama!!!! But, Sugaya Risako is the second!! And She is very close!! xDDDD. I like fun, get out! sport, and teniss Especially volleyball, table games. I like to be updated on fashion and I like to read. I also like the H!P and Jhonys especially yamapi!! I am someone fun and too direct! although timida too. when something I like, I like! I'm a proud girl and I do not like losing! I am friendly and reliable! So you can rely on me! MAIMI YAJIMA, AYA MATSUURA AND MIKI FUJIMOTO!!!!!!!!!! I used to be good in running, but dropped that idea after I got fat. I entered a Mathematics class but I've failed my Mathematics in the recent examinations, miserably. My language is stronger than most of the people I know, considering I speak rotten English & my Chinese is getting worst. I love Yamada Ryosuke from Hey!Say!Jump & Shim Changmin from DBSK. ALOT. Yes, but have stopped for awhile. I've currently started writing them again. So far, I've only read a few stories. My ranges are wide, but if you mean Morning Musume only, I'd prefer Kamei Eri currently. As for Berryz Koubou and C-ute, they're Sugaya Risako, Natsuyaki Miyabi and Hagiwara Mai respectively. If you include Hello! Project Eggs, I love Fukada Kanon, Maeda Yuuka and Ogawa Saki. Having suffered from withdraws of lack of Miki/Reina and Yurina/Risako fics, (Seriously, what gives?! ) I have decided to give one a go. I am going to post it after I write in here but I saw it fit to post here first. Loves anything yuri . Eats, lives and breathes yuri. Still debating whether to finish college or not. Tries to write fanfics (See below) and I am into anime vectoring. Yuri anime vectoring. You can visit my account here if you are curious: Moe.Imouto Account My works are all tagged 'demon eyes'. But the one I am going to post is my first H!P fanfic and all around first fic based on real people. Does it have to be H!P based? If yes, then I would say Love x Series of GAM by OTN1. But my all time favorite fic is Absence. A Sailormoon fanfic by Kirika that explores Rei as the main character and her love for Usagi/Princess Serenity. it would be Kirika but she has only a few of the stories I read but That Fan is like myself. He writes about all the couples that I am into it's scary. If we are talking about H!P writers, then OTN1 and rokun. Miki-tan by a long margin, then Yurina, followed by Eri, Aya and Reina. - Hi! I'm Mai, but some call me pancake.. anyway, I love music! Can't live without music..
well... haven't really read any fics here. I don't have time right now. well, don't have any yet. Well, my name is Hotaru, but some people call me Ruru. Hai! I wrote two so far. I don't have a favorite I like all of them. I don't have a favorite. Most writers here are good. Yossie from Morning Musume, Yurina from Berryz, Chisato/Airi from C-ute. But Yossie's definitely my favorite! 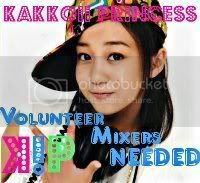 Hey my name's andrea,but feel free to call me kookyprincess22 or kooky if you like! I can tend to be kind of emotional,I hate it when people lie to me & My favorite color is Pink! 5.Who's your Favorite H!P Member? I just realized I never posted here... but since I delurked anyway, I may as well. I live in Hong Kong but my chinese is horrible (I can speak Cantonese but I fail at reading/writing) and fanfiction is my drug. I mostly prefer to read more than write them but sometimes. I have so many that it's hard to say. Not to mention I have really obscure fandoms. For H!P though, I really enjoyed Estrea's All Aboard sidestories-- I say side stories specially because I liked the darker tone of the H!PKids' backgrounds in those which is different from the main story which has plenty of comic relief moments to balance the darker bits. To me it felt almost like a fic in and of itself. Since they aren't though, it's a toss up between Strawb3rrykream's Hero and Rei.rev.07's Goddess of Fire. With authors I'll love one story and then another just isn't my cup of tea. In the H!P fandom, someone I consistently love reading though, is lil_hamz. ...trailed closely by, Shimizu Saki and Yajima Maimi. Weell... I'm a Spanish girl who is always trying to have fun. I'm 14 years old (yep, I'm too young, I know T_T). I like learning different languages... I'm studying English, French, German and Japanese apart from the languages that I know since I was young (I mean, younger xD). My friends are obsessed with my hair, but I don't know why! Since I got a blond lock they are aalways stroking my hair and saying: "Wow, Liben, your hair is soft!" There are a lot too! Panickofpain, Loser87, Hotaru-san, Kuji also, Yuuyami... Why do you have to write that great? I can't choose one! I Started liking japanese and korean music/dramas because I first loved anime (even now I do), which was when I was about nine years old. I speak two languages, tagalog(filipino) and english. I've been studying japanese by myself, but I'm hoping to get lessons soon. I love to sing, draw, listen to music and sometimes dance. I come from the philippines, but I live in toronto, canada. I'm 15, meaning I'm in my first year of highschool in Canada. I space out a lot, and I'm straight forward. I love cold jokes, so please excuse me if my jokes fail. Hmm... there's one I haven't forgotten about even though the person hasn't updated in months and that would be "Morning Musume's Love...Circle?". There's tons more fics out there that I love, but this one was like the first H!P fic I ever read and even now I really like it! Are you really asking this question? Well there would be... KizuRai, lil_hamz, konakaga, estrea, and ruru (hotaru). There's more but I can't list them right now since there's a lot. At the moment my favorite is writerjunkie's This Thing Called Love. But Estrea's All Aboard! and Almond's Memoir are my all time favorites. Haven't posted here yet...lol. Relatively new writer. I'm a college graduate - been a fan of H!P since year 2. I love to write and to read good writing. Yes I do. I have a oneshot thread and a serial fanfic currently at Chapter 2. Berry Beautiful - rokun, Memoir - almond, plus others I can remember the names of at the moment. rokun, almond, Estrea, Commie, DO Me DO Me, and others. Linlin, Ai-chan, Mikitty, Ayaya, Miyabi, Maimi. Only recently. I'm just a beginner so still have a lot to learn from the great writers here. In a nutshell, I'm weird. For specific qualities: moody, temperamental, picky, fussy and a perfectionist. I can speak English, Chinese, Cantonese, Hokkien and Japanese, but since Cantonese and Hokkien are technically dialects, I don't really count them among proper "languages". I like to read and writing came to me comparatively later, but somehow I manage. Yes, in case no one noticed. Without a doubt, Commie's Lovex2 series. Yes Commie I love you You should write moar!!!! Again, if no one noticed, obviously it's Ai-chan. Page created in 0.477 seconds with 18 queries.